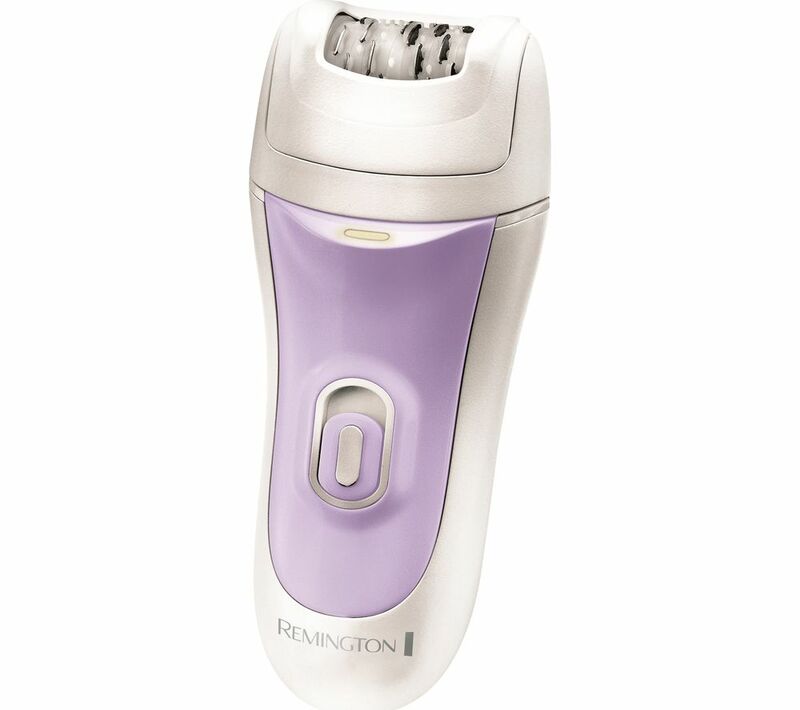 The Remington EP7020 4-in-1 Epilator has 40 tweezers working together to catch even the shortest hairs. The hair is pulled out by the root, leaving you hair-free for weeks. When hair does grow back, it'll grow softer, thinner, and slower. As well as the epilator cap, there are three other options to cover all your skin needs. The massage cap uses aloe vera to give a more sensual experience, massaging and soothing the skin. The detail trimmer is perfect for when you're not looking for total hair removal, and the shaver head provides short term hair removal when you're in a rush. The fast speed setting is great for long stretches up and down the legs. Alternatively, switch to the slower setting for more sensitive and tricky areas, like under the arms. Wherever you want it, you can get completely hairless skin. 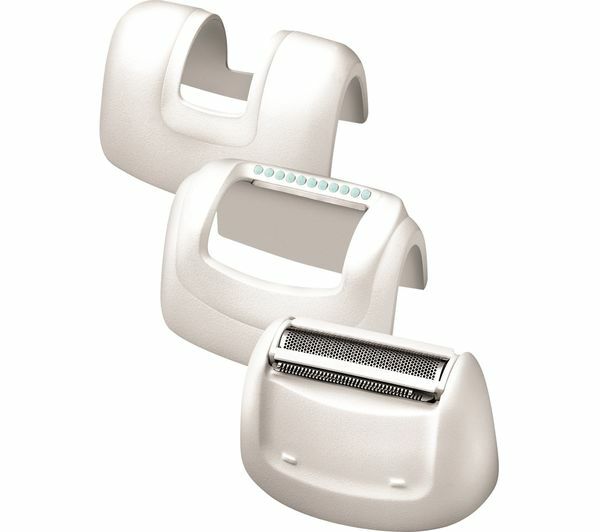 The anti-slip grip keeps you in control for precision hair removal. The small cleaning brush keeps the Remington EP7020 4-in-1 Epilator in perfect condition, and the included beauty bag will keep all the attachments together. It’s so much better than my old one. Fits in your hand nicely and easy to operate too love it. You can use this while it's on charge which is the biggest advantage. Does what it says on the box. Nice epilator worked fine on my skin and caused no irritation. I would say it is defo worth the price I got it for, As other companies are selling them for a lot more money. The only negative I have is the look and feel of the product. It feels very plasticy and cheap. Previously had rechargable Panasonic models and the so called 40mins only ever ran for 20, so i am very pleased with this corded model (it just keeps going) , the brush for the tweezers is better with the Remington model as well. I have been epilating and waxing for over 20 years. Only used once so far so none at this time.